Call It GREEN, environmentally friendly, or as the pest management industry describes it, Integrated Pest Management. Whatever you call it, it just makes sense. 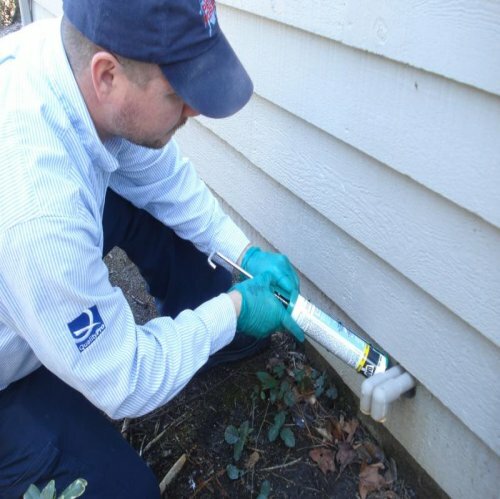 At The Pest Force we are keenly aware of our responsibility to be good stewards of the environment while still providing excellent pest control measures for our customers. It is at the core of what we do and the reason that we employ Integrated Pest Management (IPM) in every type of treatment that we offer. IPM is a combination of techniques and treatments that use pesticides only in targeted areas when necessary. It is a fact that much of the battle against unwanted pests can be won by simply removing sources of food, water and shelter and stopping pests from entering from the outside. We accomplish this in a variety of ways, many included in our Quarterly Pest Management Program such as knocking down spider webs and wasp nests, and sealing obvious entry points. We begin all treatments with thorough inspections to understand the structure and pest problems that are currently present or may occur in the future. We instruct clients on areas of concern such as moisture, poor sanitation, structural access points, etc. We only use pesticides on the inside of a structure after we have determined they are necessary to eliminate a specific pest problem and with the customer’s informed consent. You can expect that pesticides may be used on the interior and exterior of your home during your initial treatment as we flush out hiding places. On future visits, it is anticipated that pesticides would be used on only the outside of the home—after all that is where the pests live and is most often the source of indoor problems. These preventive applications are designed and applied according to the season, the biology of the pests in our area, and the known patterns of infestation at your home and in our region. When warranted, a wide barrier of chemical protection is applied to ensure that pests do not enter the home. This decreases the need to routinely use chemicals on the interior and avoids build ups of pesticides inside your home. For those who want a completely organic pest control, we do have natural, rather than chemical, pesticides that can be used. The Pest Force services the following areas for Green Pest Control/Sensible Service: Myrtle Beach, North Myrtle Beach, Little River, Longs, Conway, Carolina Forest, Socastee, Surfside Beach, Garden City Beach, Murrells Inlet, Litchfield Beach, and Pawleys Island.